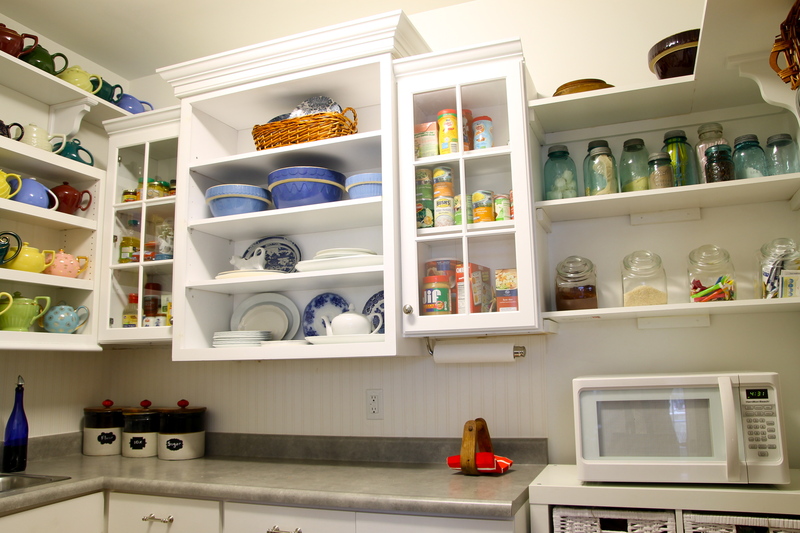 If you have been stopping by The 2 Seasons for a while now, you know that I love pantries and that I have one that is also my office (here, here, here, here, and here). 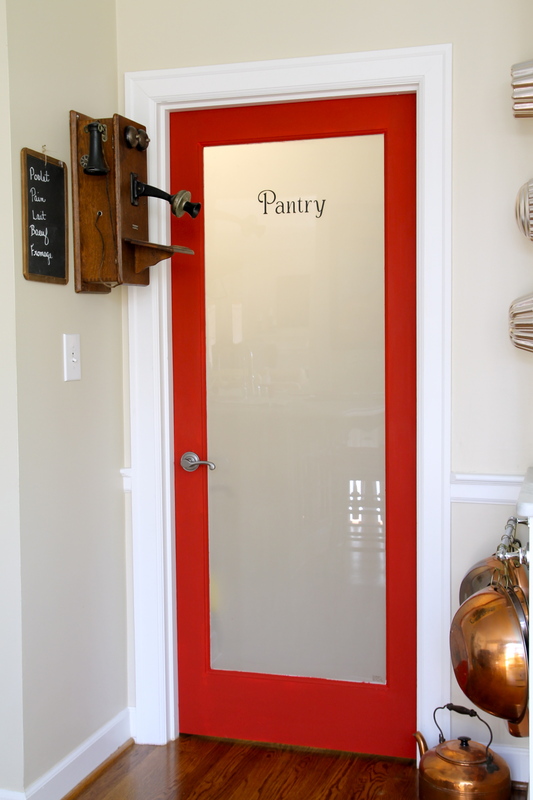 When we did the four-month gut job/remodel project before moving it, I had the solid wood door on the pantry switched out for one made mostly of frosted glass. I knew that would be a good way to let sun from the kitchen’s adjacent sunroom (and here) to into the windowless area. 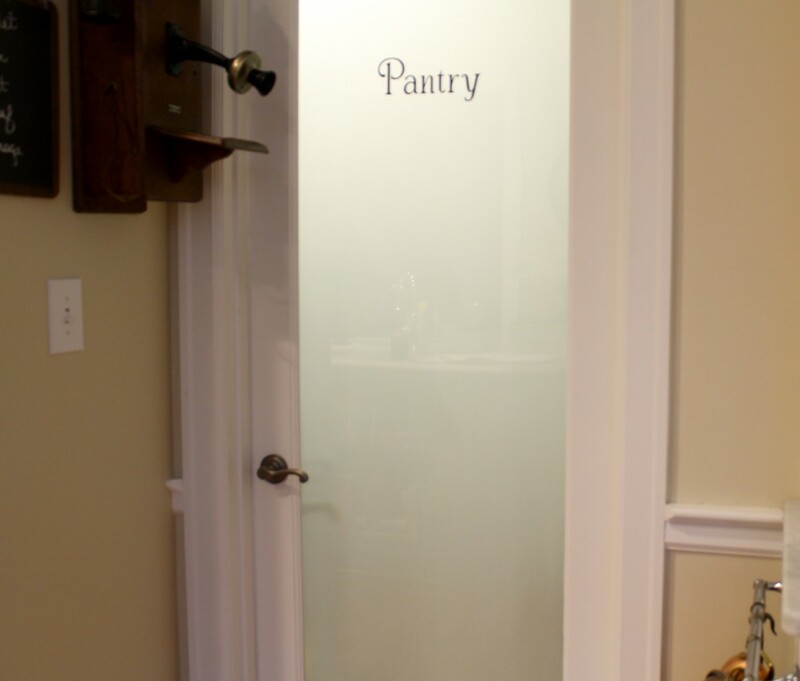 I could have selected one that had the word Pantry etched into the glass, but at the time with so many decisions being made, I opted to go with a plain frosted glass. Later I regretted that I didn’t get the fancier door. I mentioned to Jordan that I had spoken to a sign maker about making a large applique that I could just press onto the door, and she said nonchalantly that she could make one for me. I was shocked/thrilled/giddy. 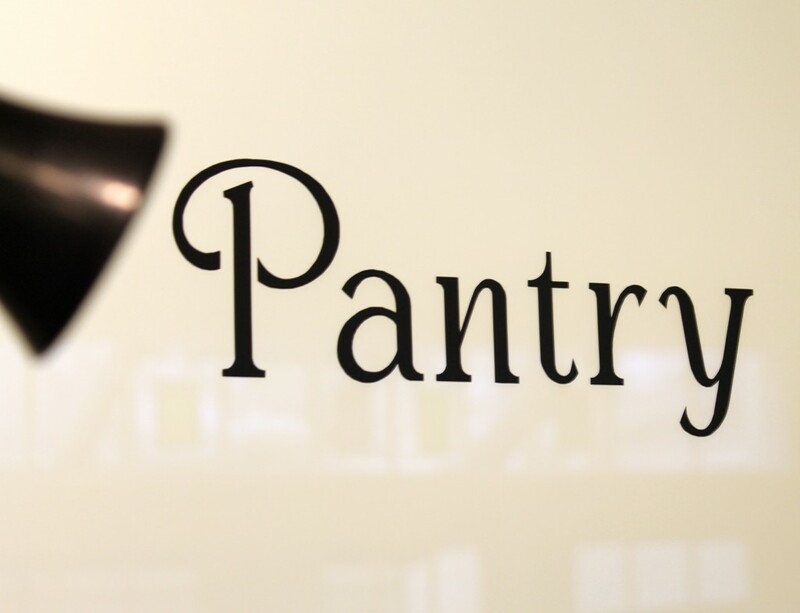 She explained that the Silhouette machine she received for Christmas could do things like pantry signs, and she made one for me in just a few minutes. I carried it home after our last visit. All I had to do to apply it was first clean the door with vinegar and water and let it dry. Then I just pressed it on smoothly and used a credit card edge to make sure there were no air bubbles. Jordan will definitely be my go-to person for the next sign I have in mind. I love the way this one looks!!! Oh so pretty, the perfect touch! 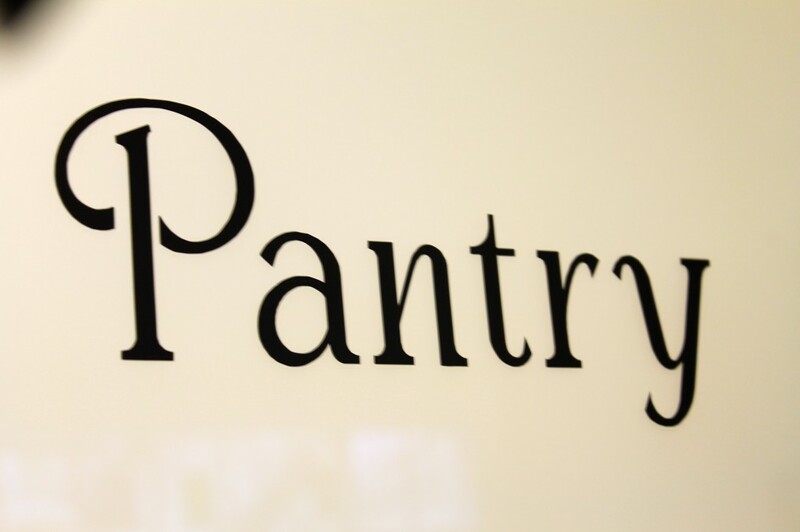 I love pantrys too! Love the adorable sign! I’ll have to google the apparatus, as I love the sign! How clever! 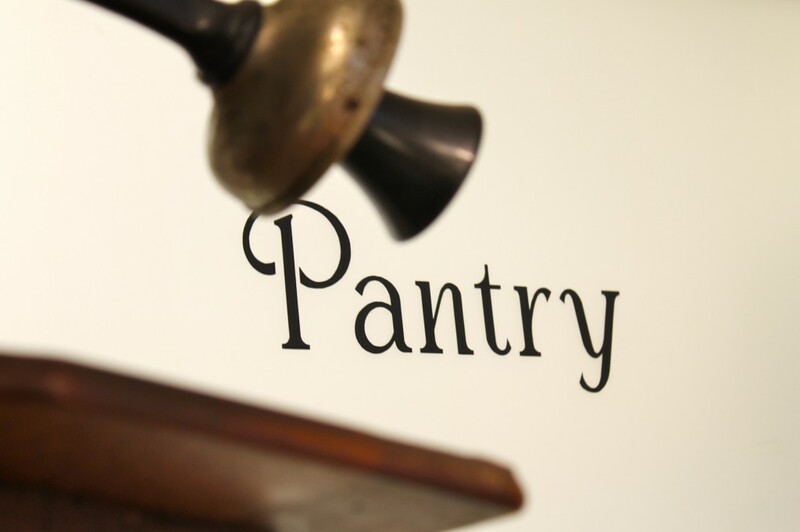 Is that just one piece of vinyl with letters printed on it or is “pantry” a cut out? My daughter-in-law has that machine and I want to do some monograms and last names for trays, but don’t know if I should stencil or use the stick on. Thanks for any ideas. The letters are individual, but they are all on one long piece of sticky stuff, kind of like contact paper. I put the whole piece against the door and then peeled off the backing. Be careful, though. Once it is on your surface area, it can’t be repositioned. 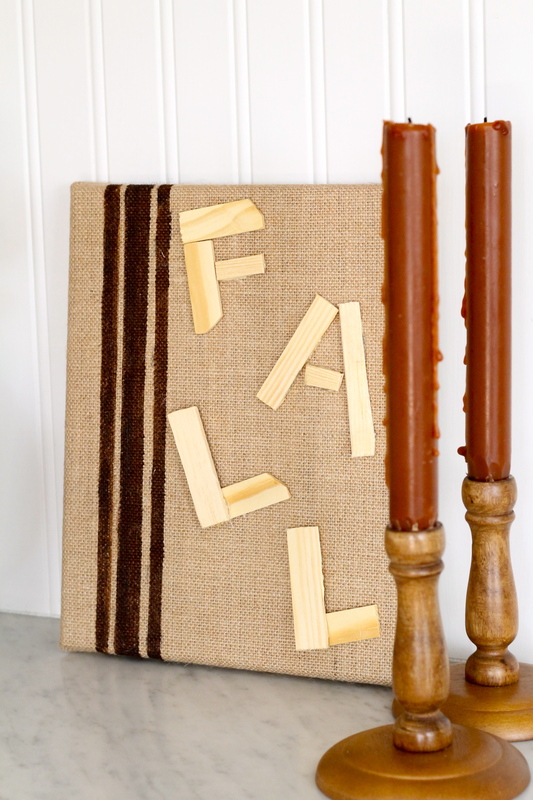 You have to gently remove the backing so that the letters adhere to the surface. Hope this helps. 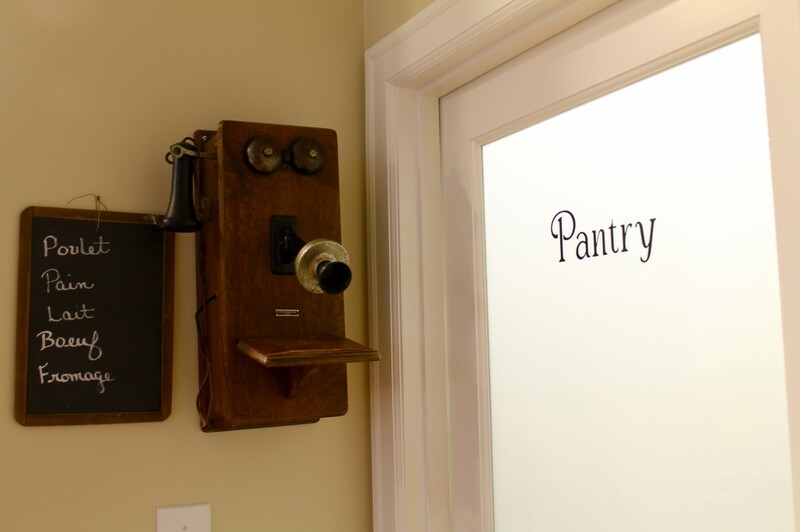 So glad that Jordan came to the rescue with that pretty “pantry” lettering…I actually love the idea of the frosted glass door with no permanent etchings…that way you can change it out whenever you wish. Just love it! Jordan is so talented! That sign looks great!